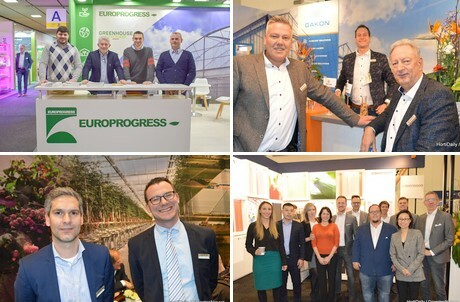 With growers present from all over the world, the Fruit Logistica is the most important exhibition for many horticultural suppliers. While it might not be the trade show where novelties are presented, it is the show where you meet up with growers and retail. Over the last couple of years the horticultural presence at the exhibition has grown, with up to 200 companies worth a visit at the show. The exhibiting growers are not even included in that number - this is just breeders and suppliers. Among them are many Dutch greenhouse builders and equipment producers, but the amount of Italian companies is also noteworthy. 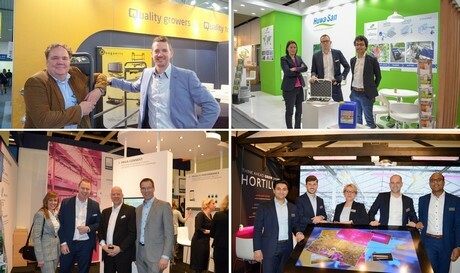 For the fresh produce industry, Fruit Logistica 2019 can be summarized in two themes: sustainability and Brexit. Sustainability featured in almost every stand. The reduction of plastics was high on the agenda. However, this was also true for, for example, restrictions on the use of pesticides. Brexit hung like a dark cloud over the trade fair. Everyone knows the hatchet is meant to fall on 29 March. However, the question on everyone's lips is - how hard will it fall and how much damage will it do? The aftermath of the hot summer set the mood among traders. The first day of the fair seemed to be unusually busy. Although Thursday is normally the busiest day at this trade show, the other two days did not lag behind much. The aisles were chock-and-block. Traditionally, Friday is quieter and in the afternoon the exhibition floor is empty, with only people from outside the industry harvesting fruits and vegetables. In general the amount of people visiting the horticultural hall 8.1 is much lower, but the people that make it down there have true focus and interest in the exhibitors, and therefore the vibe is good.